That's a little snazzier than "The Steve Terrell Podcast." 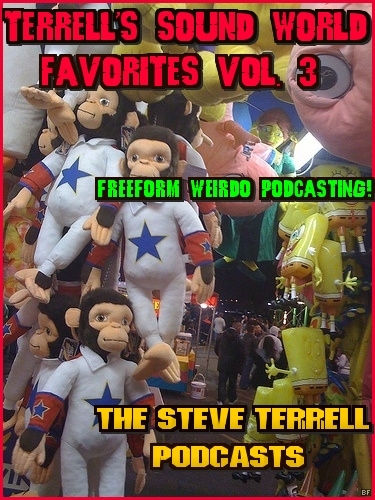 Plus, as I mention in this latest installment, I got sick of all the numbers -- "Podcast 9, Terrell's Sound World 3," etc. So welcome to THE BIG ENCHILADA!! 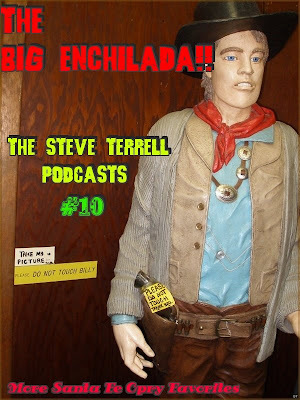 Number 10 is a hillbilly show, more Santa Fe Opry favorites, with lots of western swing and rockabilly, great tunes by Little Jummy Dickens, Mama Rosin, The Pine Valley Cosmonauts, The Supersuckers, Austin Lounge Lizards. Kris Hollis Key, Eugene Chadbourne, Emily Kaitz & Ray Wylie Hubbard, Bayou Seco, Hazeldine, Smokey Wood & The Wood Chips, Cecil McNabb, Andy Anderson and more. There's even a fine old murder song recorded live by Willie Nelson more than 40 years ago. These are songs that will make you proud to be an American -- even if you aren't one.